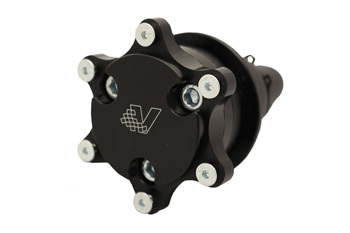 Our VAC Quick Disconnect Hub Kits Integrate and aftermarket Steering Wheel Hub and steering wheel Quick Disconnect into one product. CNC machined from billet aluminum, they are an accurate and easy bolt on or weld on depending on your needs. Made from thick 6061 Aluminum & High-grade Steel for strength and life long track usage, This unit uses a hex shaped bolt-on shaft that is entirely slop free. Everything you need to replace your factory wheel with the aftermarket unit is included, nothing else is required but your wheel of choice. Like all our components, we QC them each to our motorsports standards. This makes sure that there is no radial play and that the unit meets our critical requirements. Can you say that about a mass produced, cheaply made unit? Quality is always crucial when racing. -This is a racing component, removing your air bag is not recommended for street use.